Karpooram or Camphor has a high place in Hindu religious ceremonies. No puja is complete without an .. Lighting Diya before beginning any activity invites positivity into the ambience. Diyas are a way of.. 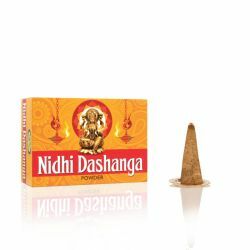 Ancient texts of India speaks about dashanga dhoopa that originates during the burning of chosen fra..
Place incense away from flammable materials on a fire proof and heat resistance surface/incense burner. Light the coated end in case of insense stick/agarbathi or the top in case of cone or sambrani, allow flame to catch; genlty blow out the flame. In case of wet dhoop, take the required quantity in hand and knead it well and make it into the shape of a cone before lighting the tip of the cone. Keep the burning Incense away from inflammable material, on a fireproof and heat resistant Surface. Do not injest and keep out of reach of pets. 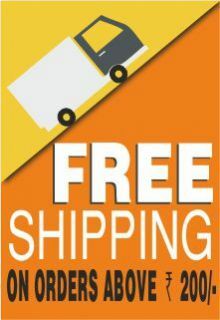 Use with care in a well ventilated space. Natural resins known for their healing properties are carefully collected directly from the source. 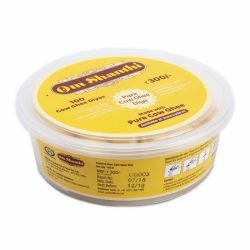 A mixture of time-tested resins and essential oils are blend together to form Om Shanthi Pure Dhuno to be burnt during pujas, festivals and other auspicious events. 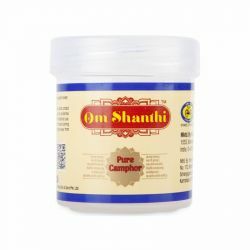 The fragrance includes resins recommended by Ayurveda, the ancient Indian text on medicines, to purify the atmosphere physically and spiritually. 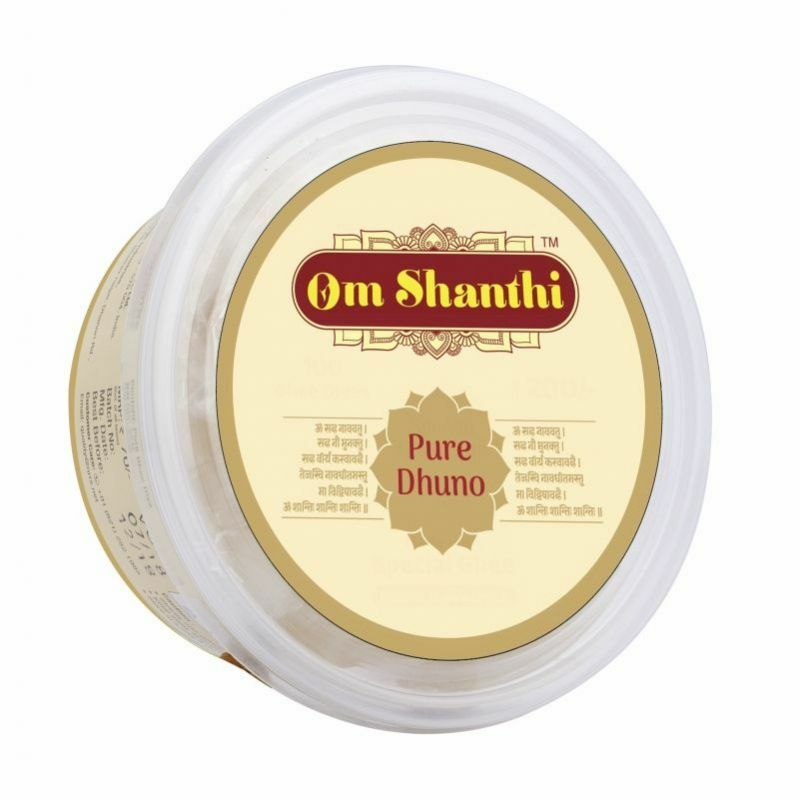 The tranquil ambience created by Om Shanthi Pure Dhuno sanctifies the ambience, calms the nerves, relaxes our mind and helps us focus on our worship.